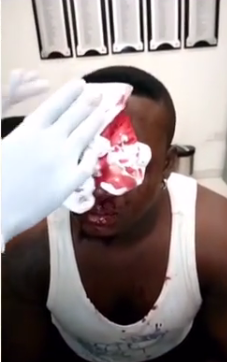 It is no longer news that Oritsefemi was allegedly beaten blue black last weekend at Shina Peller's owned Quillox nightclub in Lagos for attacking and stabbing a bouncer. He claimed he was defending the honour of his older colleague, Sound Sultan. Sound Sultan has denied any involvement in the matter. Oritsefemi also claimed to have lost jewelry worth N8.5 million naira while he was being manhandled by the enraged bouncers. Quillox on their own part released a statement contradicting Oritsefemi's claims. Click here for their full statement. Now we don't know who to believe, but while we are still wondering which version of events is the truth, Shina Peller and Oritsefemi have been shading the heck out of each other on Instagram.